Seoul Subway's Line 2 subway car is about to be shrouded in pink. 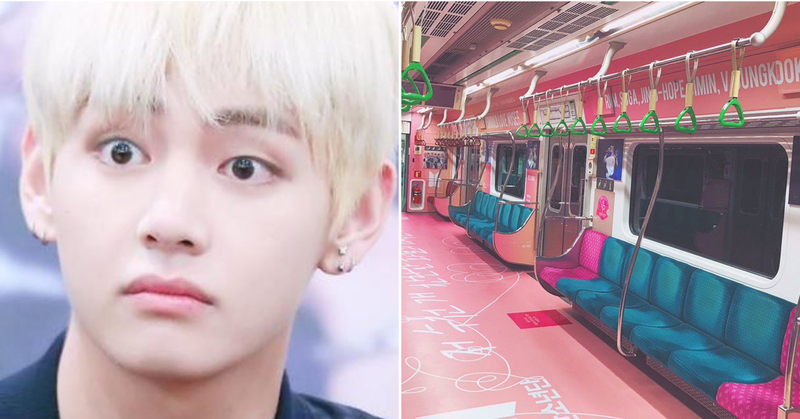 Yesterday, on the 29th, certain ARMY members announced on their social media that from December 3, a subway car on Line 2 will be specially decorated for the seven members of BTS. 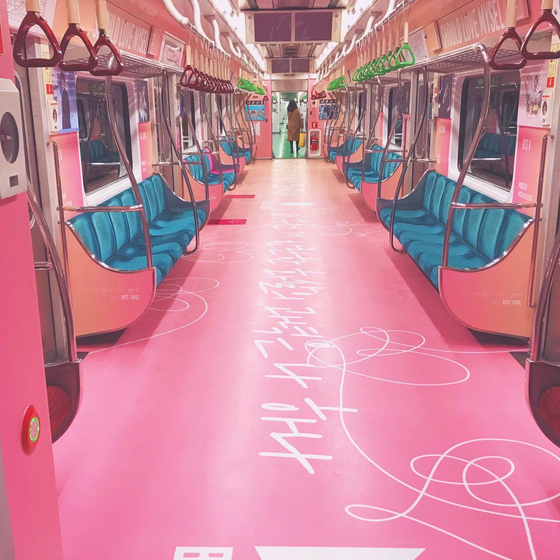 The subway car shown in the photographs uploaded show the car covered entirely in pink, the signature BTS color for their album Love Yourself. 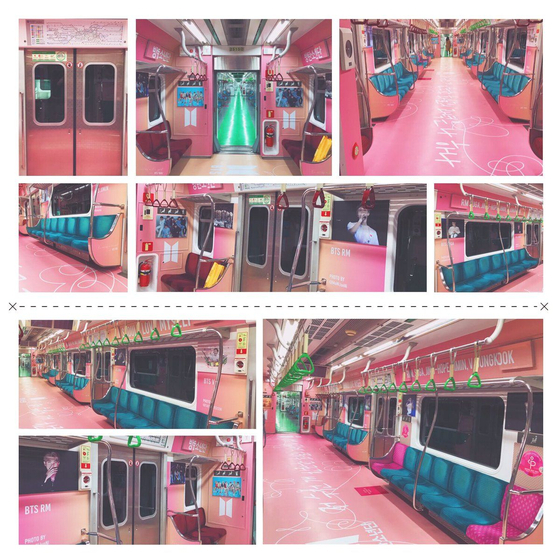 From the floor to the walls all the way up to the ceiling, apart from the seat cushions, the whole car has become an explosion of pink, decorated with the photos and names of the members. The decorated car will stay for the duration of exactly one month until the third of January next year. An accompanying poster announced in big letters "2019 New Year's Present," and in the below captions stated, "Though small, given with our sincere hearts." The poster also included the seven usernames of the fans supposedly behind this idea and at the very bottom of the poster it explains "With hope 2019 will also bring ARMY and BTS down a flowery path. Also for Seokjin and Taehyung's birthday, we have prepared this for you."